Must-See Rare Opportunity! The embodiment of gracious living awaits you in this unique & expansive space that sits atop The Sterling condo building in Myers Park! The original owner combined two units on top floor to create a penthouse. 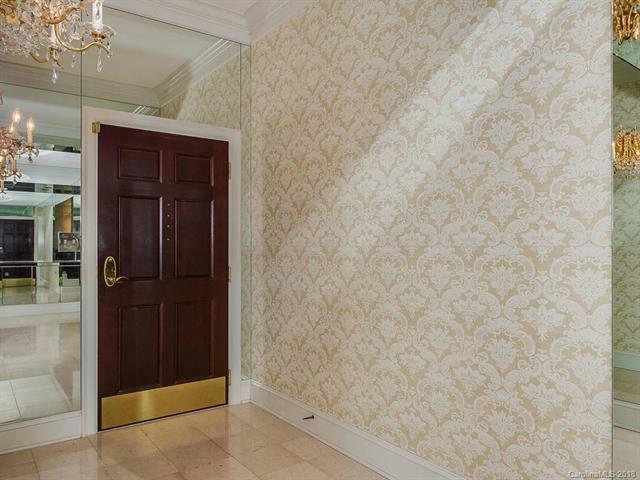 At 5,099 SF, this 3BR/4.1BA penthouse includes a lavish Entry with a Grand Hall/Art Gallery. Sunroom features windows on three sides. Two gas log fireplaces, extensive millwork, a stately Library, and opulent touches such as marble & tile flooring and hardwoods highlight this incredible home! Building amenities include a fitness center, rooftop deck w/seating & grill, and phenomenal views! This very special home is a blank slate for a buyer who envisions customizable luxurious living in walking distance of all the Selwyn Avenue corridor has to offer! Secure building. Lobby elevator. Parking: 1 assigned garage space and 1 unassigned space in The Sterling's parking lot around back. Two storage units in garage (approx. 5'x7' each).